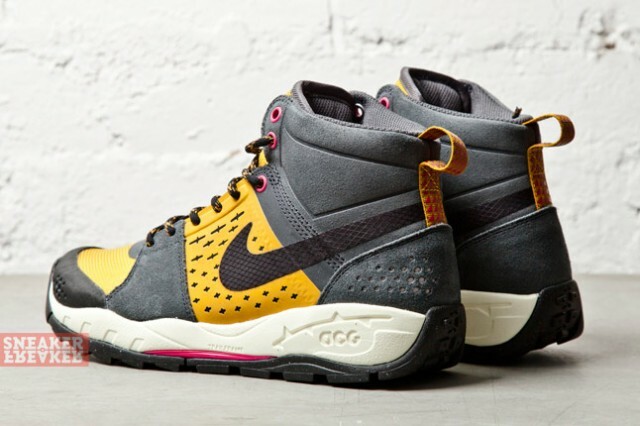 The Nike ACG Air Alder Mid surfaces in a classic ACG colorway. 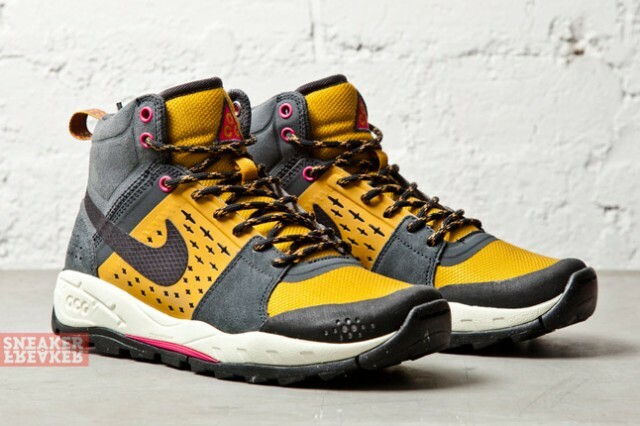 The Nike ACG Air Alder Mid, previewed earlier this week in Purple Shade / Laser Orange, will also arrive this winter in a classic-styled Gold Suede / Anthracite colorway. This rugged mid-top utilizes a mesh and suede upper brought together with Hyperfuse construction. 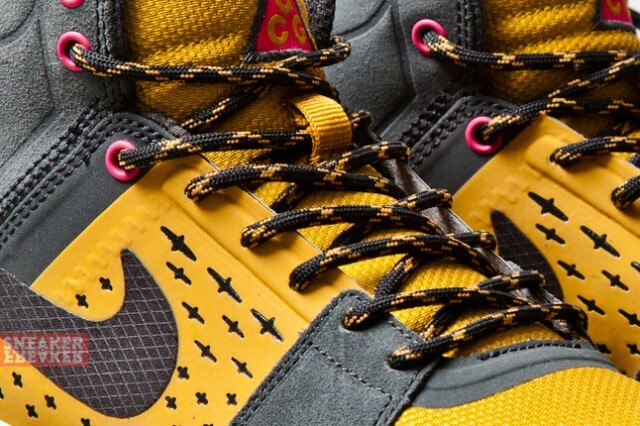 Additional features include a Trailframe sole, bright pink accents and two-tone rope laces. 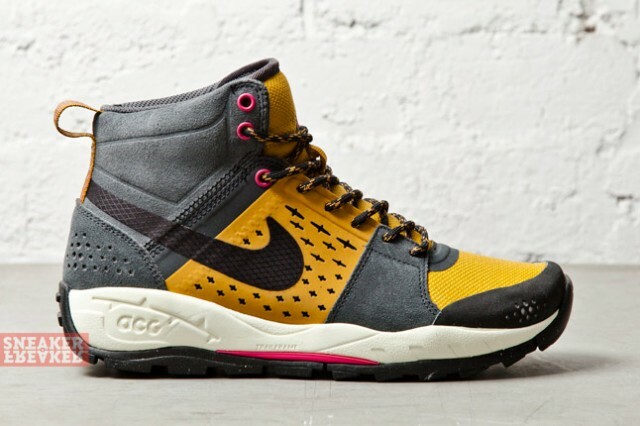 Take a closer look at the Nike ACG Air Alder Mid in Gold Suede / Anthracite below, and stay tuned to Sole Collector for release details.